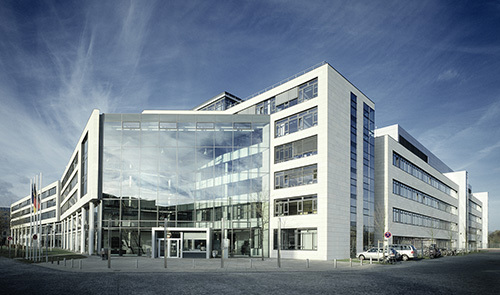 The Federal Institute for Drugs and Medical Devices (Bundesinstitut für Arzneimittel und Medizinprodukte, BfArM) is an independent federal higher authority within the portfolio of the Federal Ministry of Health. At the BfArM , roughly 1,000 employees are involved in the tasks of licensing, improving the safety of medicinal products, detecting and evaluating the risks of medical devices, and monitoring the legal traffic in narcotic drugs and precursors. The authorisation of finished medicinal products on the basis of the Medicinal Products Act (Arzneimittelgesetz, AMG) is one of the main tasks of the BfArM. In the course of these licensing procedures it reviews the health benefit, i.e. efficacy, safety, and pharmaceutical quality of the medicinal products. Furthermore, the BfArM also fulfils important tasks in connection with drug licensing on a European level. Homoeopathic drugs are either registered by the BfArM without statement of indications or are licensed with indications. If a medicinal product is taken by many patients after having been granted marketing authorisation this can lead to the discovery of rare side effects that could not always be detected previously in the course of the clinical studies required for licensing. The pharmacovigilance division collects and evaluates such reports of adverse drug reactions. On this basis the BfArM then takes the necessary measures for patient protection. The BfArM's tasks with regard to medical devices are mainly the central collection, analysis, and evaluation of risks arising from use or application of the devices and the co-ordination of the necessary measures to be taken. This work is based on incoming incident reports on medical devices. The Federal Opium Agency is part of the BfArM. It grants general licenses for trading legally in narcotic drugs and precursors (i.e. substances that can be used for the manufacture of narcotic drugs) and supervises the manufacturing, cultivation, trading, import, and export thereof. In this process, the Federal Opium Agency co-operates with other international institutions that control the trade in narcotics. Research is an integral part of the BfArM's tasks; it supports the scientific expertise of the Institute both internally and externally. A key objective of our research concept is the combination of regulatory work and research to take advantage of synergistic effects. Research work also opens new perspectives for the scientific staff of the Institute. Scientific projects at the BfArM are focused on certain defined main research areas; they are internationally competitive and meet high quality standards supporting the BfArM's role as one of the leading drug regulatory authorities in Europe. The most important aim of all activities is to increase the safety of medicinal products and thus that of the patients. Consequently, the BfArM makes a major contribution towards the prevention of risks to public health. The "Contergan catastrophe" was pivotal for the introduction of a special licensing procedure for medicinal products in Germany. This sleeping pill with the active substance thalidomide was placed on the market in 1957 and withdrawn four years later after it was found that the drug had caused birth defects in newborn babies. This case showed clearly that the drug safety regulations in place then were insufficient. At that time, the medicinal products being marketed only had to be registered. The pharmaceutical legislation was then reformed constitutionally in 1976 with the aim of extensive improvements in drug safety. Notably, the new Drug Law which came into force in 1978 introduced a licensing system with strict requirements regarding the proof of quality, efficacy, and safety of medicinal products. Thus, for the first time a national procedure for the surveillance of medicines had been introduced. Since then, the manufacturers of medicinal products have to prove both how the drug acts and, by way of pharmacological and clinical tests, that it is not dangerous. Furthermore, provisions for improved protection during clinical trials with medicinal products were issued and the liability of pharmaceutical companies was increased. Against this background, the Institute for Drugs was founded in 1975 as part of the Federal Health Office (Bundesgesundheitsamt, BGA). After the dissolution of the BGA in 1994, three independent institutes emerged: the BfArM (which was assigned the tasks of the Institute for Drugs), the Robert Koch Institute, and the Federal Institute for Consumer Health Protection and Veterinary Medicine.